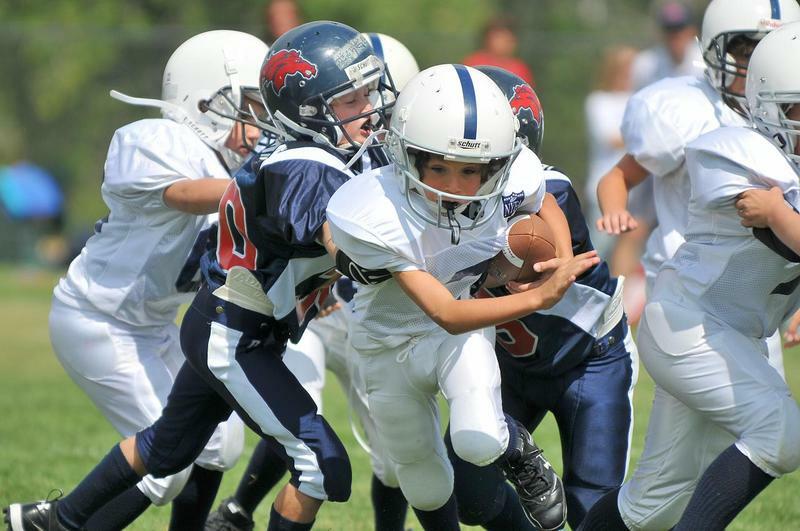 Awareness of the severity of concussions among young athletes has continued to spread among parents and schools within the last few years. Meanwhile, the athletic staff at Kennett Middle and High Schools in North Conway have seen a decline in concussions among their students. Neal Weaver is the athletic director for Kennett High School. Morning Edition Host Rick Ganley spoke with him by phone about the school’s efforts to reduce the number of concussions among athletes. So what are you and your staff actually doing differently than you would have a few years ago? Tell me about this technology that you’re using. So one of the newest forms of technology that we use is called an insight sensor. And we’re specifically talking about football at this point. 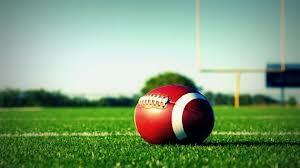 Even though concussions are occurring in all sports, the spotlight right now tends to be on football the most. And so these insight sensors within the football helmet registers different types of contacts. And then that information is sent to a handheld sensor, reported to the coach or the athletic trainer who might be holding it, and then they plug that into a computer every day to analyze what information they’re receiving. Then we can look at it and see this student suffered this type of head contact today, this student suffered these multiple contacts throughout this week, and then we can keep an eye on it and check those students out. Now people do tend to focus on football specifically regarding the topic of brain injuries, especially with all the reporting of the long term effects on NFL players, do you see more concussions with your football players than with athletes involved in other sports? Interestingly, I mean you’re going to see more head injuries with certain sports. And so whether it’s football, ice hockey, lacrosse, soccer, wrestling, you see them across a range of sports. But I think what would be very interesting to people is the fact that it’s not just in football. Like I said, just in fall sports soccer is one that really jumps out as far as something where students—they’re not even necessarily hitting other students. They could just be hitting the ground. It could be a little bit of a whiplash type of symptom. It might not even be from the ball. How far can you really go in prevention in football or any sport really? It’s inherently dangerous isn’t it? It is. There’s definitely a risk with participation in all sports, and we go over that in our preseason meetings. I mention that. I go over that with parents and students. I go over that with coaches to go over that with their teams. I mean some sports are a little bit more dangerous than others. I was at the concussion symposium down at SNHU last Wednesday, and there was a former Patriots player who was a speaker on the panel. And he said, you know there are some people who just really gravitate toward the contact in some of these sports. That’s why they play the sports. But the important thing for us, and to kind of get back to your question, is that we need to be doing it as safely as possible. Our students’ safety is our number one concern. And so what we do is we do have, you know, impact baseline testing for each student before they can participate. We have coaches who go through an impact online course before they’re able to start coaching. We have the insight sensors in our football helmets. We have the improved, or at least different forms of tackling with our football players now. So there’s multiple things we’re doing to try to make it as safe as possible. I’m interested in the culture among the parents of players as well. What do you say to parents who are anxious about their child getting involved in school sports because of the possibility of a concussion? That is a big question that comes up. Should my student play a sport? And we just say you know there’s an inherent risk in a lot of things that you do. Getting into a car you have a risk. We think that there are a lot of positives that come with playing athletics. And the number of concussions that students suffer is such a small percent of the overall number of students who participate, the overall number of practices, the overall number of games. As long as we do it as safe as possible, that’s just a choice that they have to make. And as their student gets older, they have to sit down and make that decision as a family, and analyze is this something that we want our child to be doing. I imagine that this costs money. How do you finance that, especially when talking about technology and bringing in training? I mean, this takes resources. It does. And luckily at Kennett High School we do have some resources, some money available to pay for these things because like you said the impact tests cost money, the insight sensors cost money. Maybe some trainings or clinics that coaches go to cost money. But I think what you’ll find in any community, and in ours included, is that once you say this is going to help keep our students safe, or at least as safe as possible, people jump right on board with it and want to support it. A leading University of New Hampshire researcher on the role of protective equipment in athletes has been recognized by a national association. Erik Swartz researches the role of equipment such as helmets on preventing cervical spine and head injuries, particularly football players. He serves on the NFL's Head, Neck and Spine committee.